It’s bracingly, frighteningly, stubbornly cold still in Syracuse, with snow on the ground. March can be a bear. 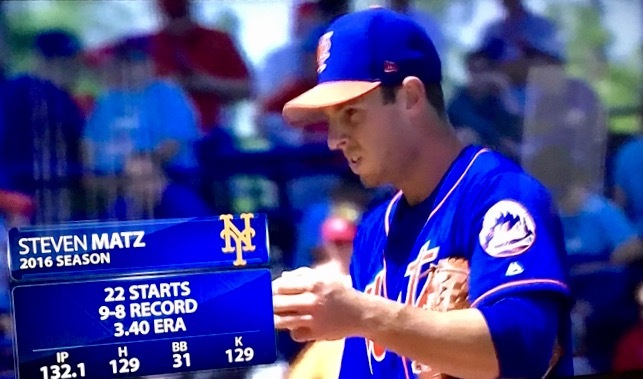 And so when my TV guide tells me that my New York Mets are being beamed from a spring training game in Florida, I will land there for a moment. The Mets are playing a Saturday contest against the Washington Nationals, the parent club of my hometown Triple A squad, the Syracuse Chiefs. Steven Matz on the mound. On the mound is Steven Matz. Michael Taylor at the plate. 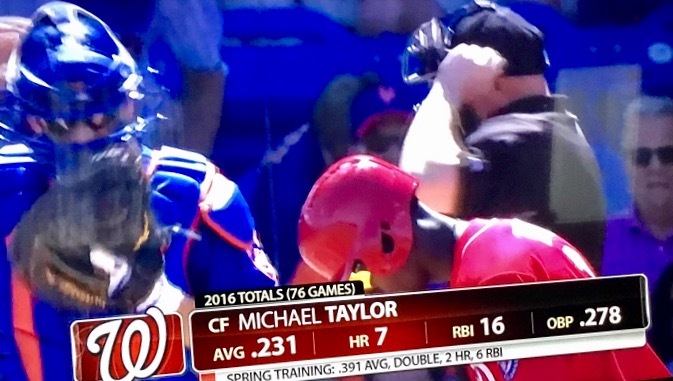 Leading off is Michael Taylor, a man whose grace my dear wife Karen experienced as he defended center field every time we experienced the glory of a live game at NBT Bank Stadium last season. Taylor lined a double just over the glove of left fielder Yoenis Cespedes. He scored to give the Nationals a 1-0 lead after the top of the first. Karen and I went about our Saturday business. I had my fill of green grass. It did not matter who won or lost this spring day. Bring on the real season, in New York, Washington, Syracuse, everywhere. 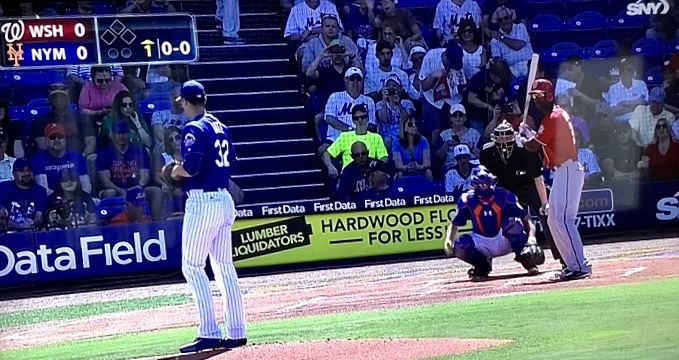 Have you watched any spring training baseball to get a taste of green? If you go to baseball games, who do you follow live? I follow the Red Sox, the green wherever I can find it, Mark, and you! Thank you, Ann Koplow, for stopping to smell the grass clippings! We catch a bit of those Spring training games…so sweet in our March. And the Phillies have acquired a switch-pitcher !! woo-hoo! and one of my bucket list items is to take in a tigers’ game at spring training in fla!